Remember that whole tedious affair about Microsoft trying to buy Yahoo, but failing in a very public rejection? Well, at least it's all over now … or is it? According to Reuters, MS has been talking with News Corp and Time Warner about a possible joint bid for just the search element of Yahoo's business, a move that could break the company up after all. Whether any of this speculation amounts to anything is totally open to conjecture, but one thing's for sure – we haven't heard the last of this. Didn't we say that three or four times before? Any readers working in computer repair in Texas should pay attention right now to find out why they need to get a private detective's licence. New state law in Texas mandates that anyone doing investigative work needs to be a qualified P.I. - just like Magnum. Without obtaining the necessary criminal justice degree or doing a three-year apprenticeship, the techies could end up with a hefty fine and a year of jail time. Meanwhile, over in the crazy world of Apple, we hear that the company has bought up nearly all of Samsung's supply of flash memory for use in new iPhones. Samsung has told lesser customers than Mr Jobs that they'll have to make do with smaller orders after Apple snapped up a whopping 50 million 8GB NAND flash chips. 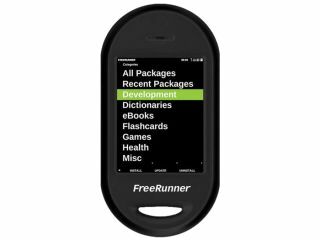 Finally, as we hinted previously, Openmoko's new Linux phone – the Neo FreeRunner – is finally ready for the road and goes on sale on Friday. The open-source-powered handset arrives well ahead of anything from larger rivals running Android or LiMo and can be yours for £272 from Truebox in the UK. Happy tinkering.